Peterhead defender Jason Brown thanked medics as his brother Jordon is on the road to recovery. Jason Brown is hoping a frightening couple of weeks for his family can be put behind them when his brother Jordon returns to action. 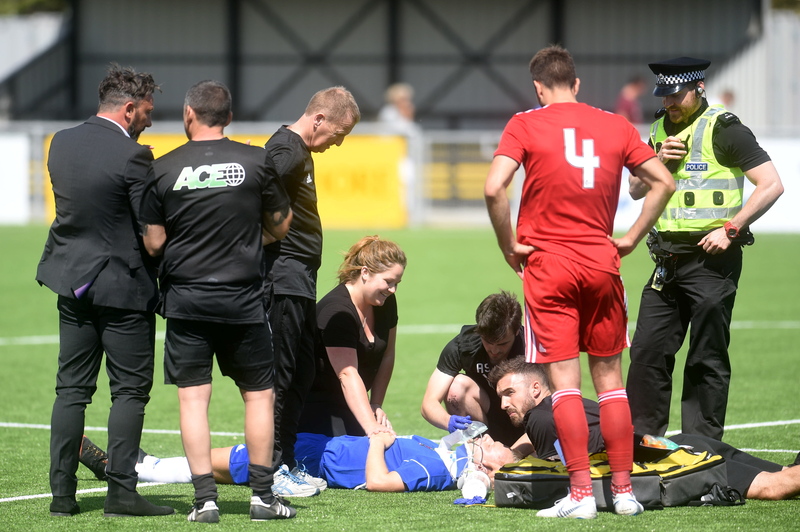 Jordon sustained a head injury in a collision with Andrew Considine during Cove Rangers’ friendly with Aberdeen 10 days ago, receiving treatment for 30 minutes on the pitch before being taken to hospital. Both parents and Jason were in attendance at the game and the Peterhead defender admits it was hard for the family to stay composed in such a stressful situation. Thankfully, Jordon was discharged from hospital later that Sunday evening to return home after his scans all came back clear. Brown hopes his older brother can get a much-needed dose of luck, as both prepare for big seasons at their respective clubs. He said: “I don’t think we stayed very calm – we didn’t really know what was going on and didn’t want to say too much at the wrong time. We were just trying to concentrate on Jordon. The medics were fantastic, we can’t thank them enough. They were brilliant with us and kept us informed. Jordon Brown receives treatment on the pitch during the Cove Rangers v Aberdeen game. “It was a bad situation but things moved quicker than we thought. Jordon came round in the hospital and was feeling better but with a head injury, he had to take it slowly. They did the scans they needed to do and were happy to let him come and get a comfortable night’s sleep, rather than staying in hospital. He’s been back to his GP for tests and they have been monitoring him. 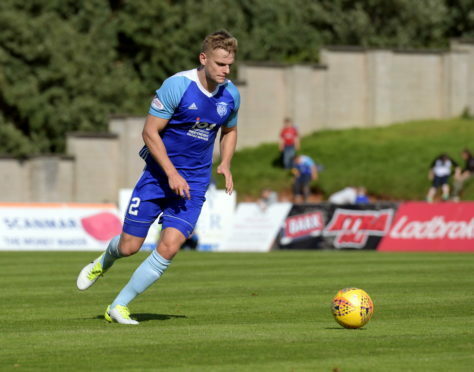 Brown played just two days later in Peterhead’s 3-0 defeat to Dunfermline and should start again tonight in their Betfred Cup tie with Dundee. For his elder sibling, who was a Blue Toon player up until the summer, he will have to wait a little longer before returning to the field but Brown hopes it can be a memorable season for both of them. He added: “Jordon doesn’t want to be sidelined for too long and would be back this week if he could. But you have to be cautious and he’s slowly building back up. He’s raring to go at his new club and is dying to be involved.